REFINED. Luxurious. Performance-oriented. Angry. 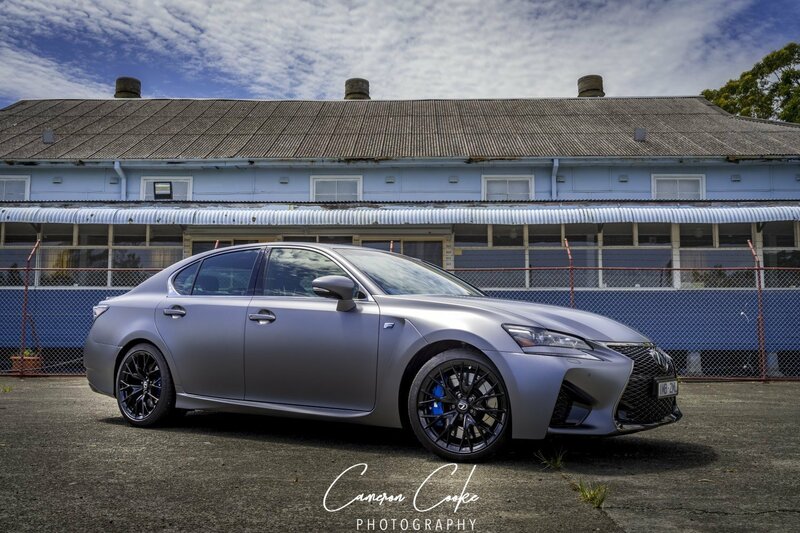 All words that individually describe the new 10th anniversary Lexus GS F Special Edition. The latest incarnation of the Japanese car maker’s V8 performance sedan. Released to mark 10 years of F cars, the pinnacle of performance from the luxury marque, the 10th anniversary edition is a little different to what fans of the GS F are used to. It’s also a testament to the evolution of this very car, which we first tested in 2016. It’s still powered by the same albeit more refined version of the Lexus 351kW 5.0-litre V8 engine. It still pumps out some 530Nm of torque. It still does 0-100km/h in 5.0 seconds. But it’s got some unique style, shall we say. 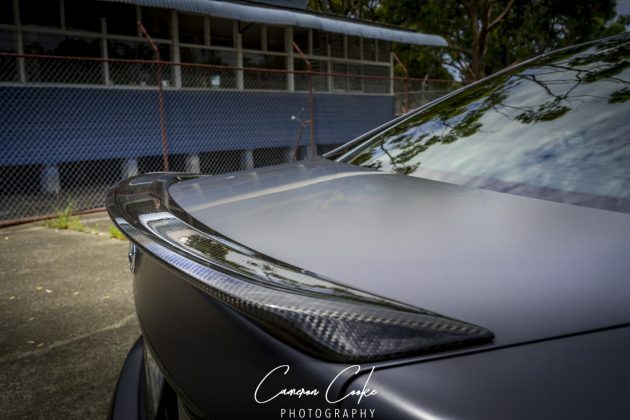 That style, which is instantly eye-catching, starts with a matte grey exterior paint finish known as Fuji Graphite, complete with a clear-finish wrap over the top of it to protect the paint work, and black polished 19-inch alloy wheels with competition blue brake calipers. 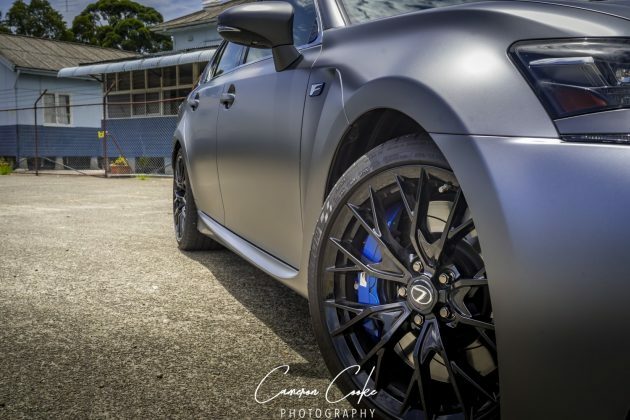 The paint finish is exclusive to this model, and its twin anniversary edition RC F, as are the 20-spoke wheels. 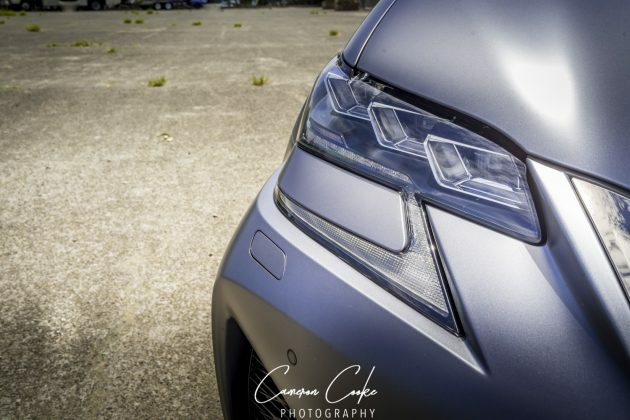 The brake calipers feature the F logo that signifies the high performance moniker for Lexus. 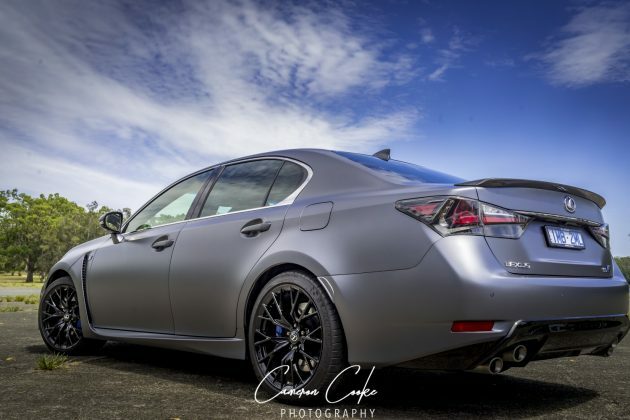 Front performance dampers also feature and the GS F offers five driving modes to whet your whistle in terms of your cruising or sheer need for speed. They’re self explanatory; Eco, Normal, Custom, Sport and Sport+. We put Custom in the middle because it’s basically the ability to introduce sport settings to Normal mode. Sport+ is last because it’s ‘angry as [insert swear word here]’ mode, and that’s without even engaging the torque vectoring differential. Think of it as what most people call full noise. It delivers all the standard available power, and the associated fullness of V8 roar from the bi-modal four pipe exhaust system for your absolute aural pleasure. Then there’s TVD, which only works at the pointy end of driver settings, and gives you Standard (by default), Slalom (for those long and windy roads that just need to be tamed), and Track (for ahem, ‘track’ driving) level enhanced handling. The drive is tactile, yet controlled. At no point do you feel like the GS F is going to get tail happy despite it’s rear wheel drive underpinnings. But thanks to the active variable suspension and safety features, it’s also nigh on impossible to actually do it. That’s the catch-22 here. If you want to go nuts and drift round corners on a track somewhere, then you’ll need to be shutting off a bucket load of safety tech, and while that’s fine, it does take the edge of the thrill of driving this potentially angry beast. That refined V8 under the bonnet is mated to an 8-speed automatic with paddles on the steering wheel, and the option of full manual mode via those same shifters and the sideways flick of the gear stick. We managed 10.5-litres/100km combined fuel economy. It’s here though we find the only other drive related issue in the 10th anniversary Lexus GS F. No not the fuel economy. Put your foot down and the gearbox will kick down a few pegs and in the words of Russell Crowe in Gladiator; unleash hell. But not before it pauses to think about it, decides which gear it should be in, jumps there, and then, unleashes hell. We get the luxury performance car thing. We get the safety thing. But when we ask for hell, we expect hell, instantly. 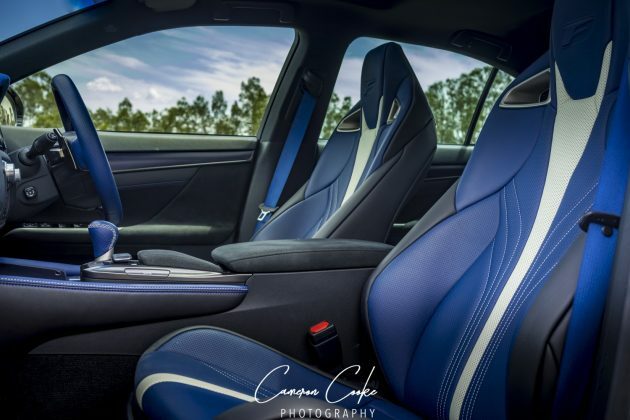 The first time you step inside the special edition GS F, your blown away by the blue. It’s everywhere. There’s a blue suede dash, and the front sports seats are finished in vivid blue semi-aniline leather with white accents. 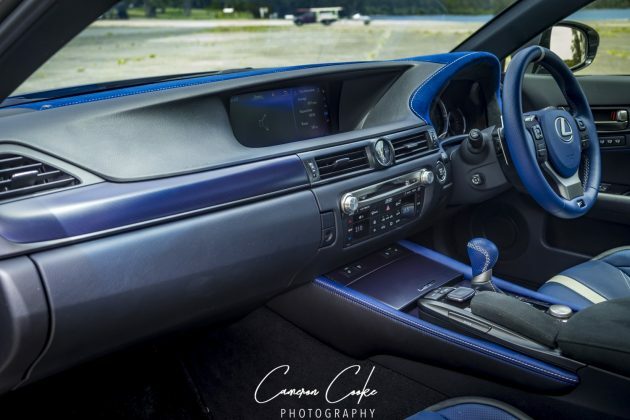 The F symbol is embossed in the integrated head restraints in blue, and matching blue leather can be found on the steering wheel, gear-shift knob, instrument panel, centre console and even the seat belts. But before you poo poo it and think it a bit ordinary, you need to see it for yourself. We thought the same thing before we set eyes on it, but jump in the GS F and quite frankly, it looks seriously wow. The surrounds for the window controls on the door armrests incorporate carbon-fibre weave finish in blue, black and silver, while the rear seats are wrapped in black leather and a black headlining, again embossed with the F symbol. Rear leg and head room is great, and the drop down centre console in the back seat features full controls for the rear of the car, including climate and audio controls. The boot is big enough to hide two adult bodies in, not that we’re suggesting you do that. There’s still no touch screen but we’ve come to know that about the Lexus range, and it’s a given there’ll be some kind of joystick in the centre console to drive it, and of course, there still is. That’s starting to feel a little, or a lot, dated, just quietly. But here’s a lot that’s kick-arse about this car. The HUD is full colour and very clear, the climate control system is bang on and among the best we’ve felt, the 17-speaker 835W Mark Levinson sound system, with a CD-player, is quite simply mind blowing. 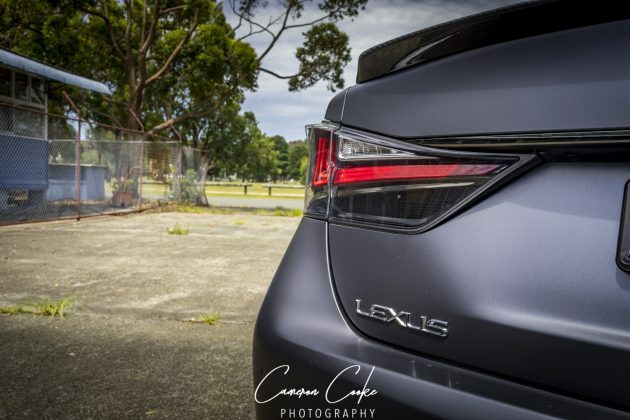 Each example of the anniversary GS F is also fitted with a discreet metal plaque in honour of the car’s Limited status, and comes fully loaded with the new Lexus Safety System+, which incorporates rear cross-traffic alert and blind-spot monitoring technologies. Our test vehicle was supplied by Lexus Australia. 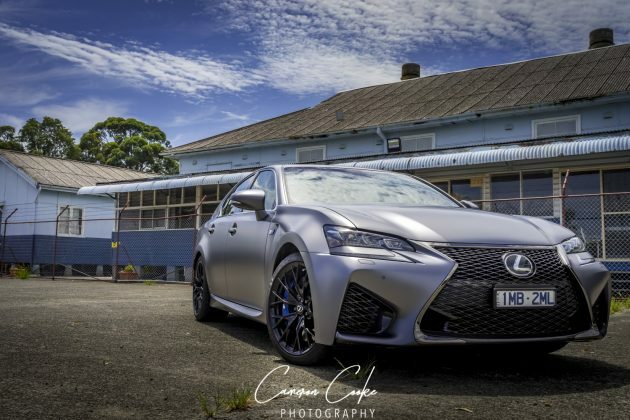 To find out more about the 10th anniversary Lexus GS F, contact your local Lexus dealer. Pictures courtesy of Cameron Cooke Photography. Pros - that blue interior; V8 performance; exceptional ride and handling. Cons - gearbox slow to respond; lacks fear factor; clear plastic wrap deterioration. FROM 2021, all new Infiniti models will be offered with electrified power trains, with the Japanese luxury car maker confirming it will launch its first pure electric vehicle in the same year.